I try to keep worship to an hour, even when we have Communion, so I have a side-eye on the clock and move certain things along, but my intention is always to have the time when the congregation comes forward feel time-less. I look each person in the eye as I give the bread, and then they pass to the right or left to dip it in one of the cups being held by a Deacon. But for some reason, today they seemed to barrel toward me, in twos, barely giving me a chance to connect — which is not for me, but feels like an important pastoral act. In three more weeks, we’ll engage in a liturgy of farewell, releasing and forgiving one another. I worked on the order of service this afternoon, and it felt heavy. Saying goodbye well matters. But it goes by so fast. It’s the same with mothering. LP and I have pushed up the date of separation as we prepare for my move to Pennsylvania and hers around a few corners to her dad’s house, but it was coming soon anyway, in a matter of months. As the congregation came up the aisle, so quickly, in such a hurry, I told myself I could not think about how it is the last time. and I told myself to stop it. Stop.It. There will be other times, other times I can say to her, “The Body of Christ, broken for you.” I’ll land somewhere, eventually, and she’ll visit, and there will be Communion, and we will be in it together again. But it goes by so fast, the days left in this house tumbling toward me like the hurrying communicants, the months until college like a wave racing to break on the shore. We’re both eager for the future — I think I can say that — and anxious about logistics and trying to get a lot of work done in a short time (packing/sorting/disposing for me; college applications for her). There are many things I will miss, but here’s what surprises me. I grieve a little that the regular intimacy of congregational life will not likely be ours again. Does that sound like an odd thing to say? We’ve been making the journey to church together every Sunday, just about, for her whole life. When I became a pastor ten years ago, she became a part of the ministry team. I value her reflections on human interactions in the congregation, and her critiques of my sermons and messages for the children. I value her company, the ways in which she accompanies me. This day was coming, anyway. But I never expected my empty nest to be the Communion table. You may have stopped your tears but mine are flowing freely. “But I never expected my empty nest to be the Communion table.” Oh my. You have many leave-takings to come. May God’s presence carry you through them. You have a few more things changing just now than is usual for anyone. I can’t speak to what this piece of the journey, this moment, meant to you — only that you will remember it. With love. Wishing I could give you a warm hug. Got a lump in my throat when I read this one. Transitions are so hard. I see you’re coming to PA. My husband is a member and I attend (along with my UMC) a UCC church in Lancaster County, PA. What area of the state are you relocating to? I’ve been a fan of your blog for a couple of years. I’ll be near Harrisburg. I’m not quite sure what I’ll be doing, ministry-wise, except that I’m taking some sabbatical time through Easter. Thanks for reading! 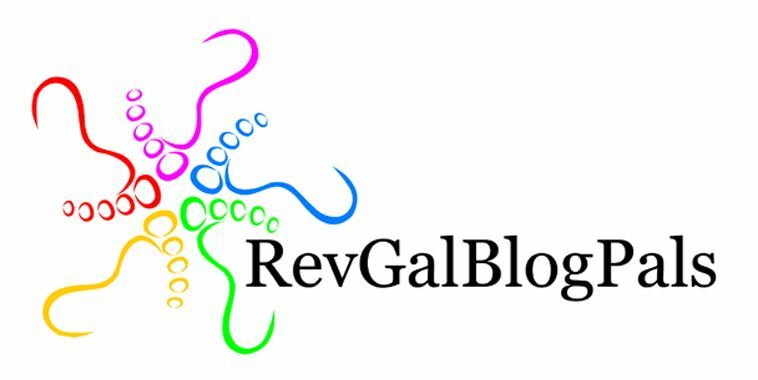 If you’ll send me an email (revsongbird at gmail dot com), I’d love to hear where you worship. Last Sunday, I broke the bread for the first time (PC(USA) ruling elder–previously paired with male clergy members, I’ve held the cup, bit they did the bread) and for the first time my spouse and daughter were in line at the right time to come to my station. There is a sacredness in every single moment of serving, but to kneel down and look my daughter in the eyes and say, “the body of Christ, broken for you.” Wow. As you’ve written of your plans, I’ve wondered about LP, assuming what you confirm here, that she would stay with her dad to finish the year. You will both be in my prayers.